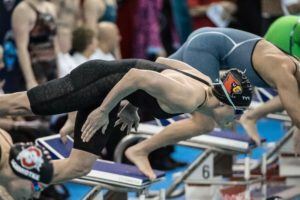 Caeleb Dressel is the hottest name in the NCAA (and perhaps the entire aquatic world) right now, and that was evidenced after he continued to throw down dominating performances at the 2017 NCAA Championships. 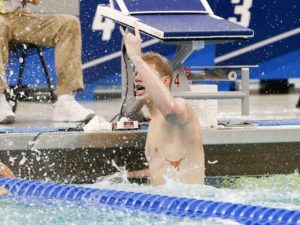 While his sprint free was, as expected, insane (18.38 in the 50, probably his least impressive showing, and then 40.00 in the 100), his 100 fly really turned heads. Defeating reigning Olympic champion Joseph Schooling with an otherworldly 43.58, he set every record in the book, and set up what would be a mind-boggling performance in the 100m fly at World Championships. 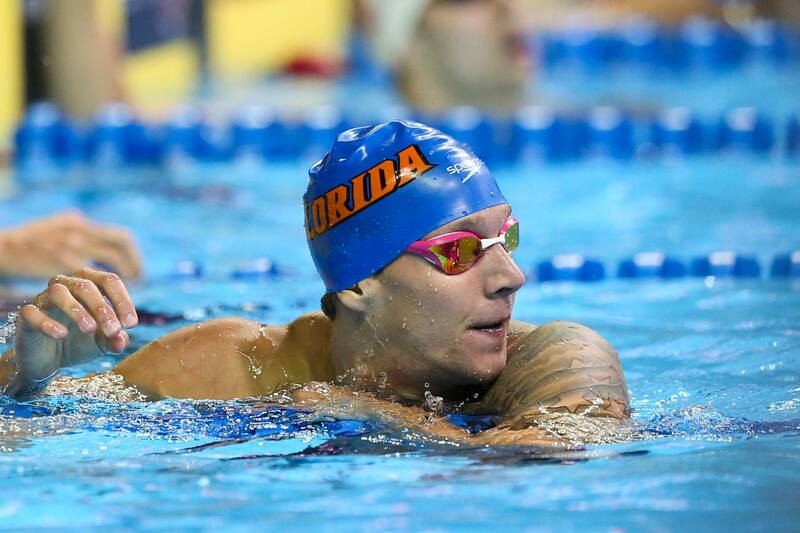 Dressel was in command of a very competitive Florida squad that sailed to third at NCAAs, lofted by Dressel’s unparalleled 60 individual points (Will Licon had three wins, but his 200 IM victory was actually a tie, docking him back 1.5 points). Mark Szaranek tied with Licon for that 200 IM crown, and he also put up a third place effort in the 400 IM, while Jan Switkowski swam in three individual B finals. 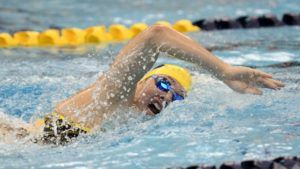 Maxime Rooney made an A final appearance as a freshman in the 200 free, while Mitch D’Arrigo ventured into the 500 free B final and added a 9th place finish in the 1650. Florida’s relays were great with Dressel on all but the 800 free relay, and that relay ended up doing just fine without the sprint king, finishing 3rd. Dressel will, without much doubt, account for 40 more points on his own in the 50 and 100 free combined. If we could give more +s, or more As, or a gold star, we would do that here. Further, Rooney is fast enough in the 100 free (42.45 from SECs) to B final in the 100 free, while the Gators are stacked in the 200 free. Rooney and Switkowski are candidates to make the 200 free A final, while Khader Baqlah brings in a 1:33.6 and Arizona transfer Grant Sanders has been 1:35.0. There’s yet more sprint power coming in with the new class. Backstrokers Clark Beach (45.3/1:37.0) and Michael Taylor (20.6/44.8/1:35.1) can definitely develop into relay pieces, especially Taylor in the 800. Irish pickup Gerry Quinn could be big, too, with LCM bests of 23.5/50.0/1:50.8, while Turkish import Erge Gezmis has been 51.4/1:51 in long course. Tate Callahan (20.7/45.3/1:38), Ethan Beach (1:38), Marty Stange (20.5), and Santi Corredor (1:37.7) are just more names in the barrel. Ben Lawless was painstakingly close to scoring in both the 500 free and the mile at NCAAs last year, hitting the wall in 17th for both races. He’ll have a great shot at going top 16 in both next year, but it’s no sure bet. Blake Manganiello and Andrew Brady swam in both distance races last year but didn’t score, though Manganiello’s 14:46 PR would’ve been top 16 had he done at the big meet. There isn’t a lot of incoming distance free speed, but Corredor has been 4:22 in the 500 and could develop there. Switkowski and Szaranek combine for one of the best IM duos in the nation, with Szaranek himself is a candidate to win both IM titles. Switkowski is a fantastic 200 IMer, who won the B final last year but was fast enough to beat out Chase Kalisz in the A final. Alex Lebed and Brennan Balogh each posted a 3:45 last season, while it took a 3:44 to B final last year, and Lebed was 1:44 in the 200 IM. Corredor could be an IM prospect, with bests of 1:47.6 and 3:50 in the 200 and 400. 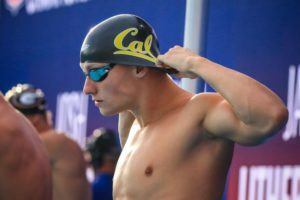 ‘Zona transfer Sanders has been 1:45 and 3:44, and his 400 IM is his sweet spot. Dressel is the man to beat in the 100 fly, while Switkowski will be looking for an A final appearance in the 200 fly. The Pole hasn’t been slow by any means in the 100, having gone 45.5 last season. Szaranek didn’t score in the 200 fly last year, but his 1:42.34 from SECs is .24 off of what scored at NCAAs. There isn’t much incoming fly speed, but there isn’t a need (yet) for that on the roster. Blyzinskyj held things down on relays last year in back, but he was unable to score individually. 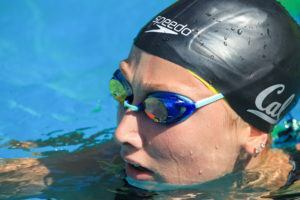 Clark Beach and Michael Taylor, however, will give Florida’s backstroke group a shot in the arm. Taylor has bests of 45.53 and 1:41.05, with his 100 time being B final worthy already. Beach has been 47.4/1:41.3, with a more obvious projection to the 200 over the 100, while his twin Ethan (also better in the 200) brings in a best of 1:44.3. Meanwhile, Balogh put up a 46.8/1:40.7 at a last chance meet in 2017, adding more depth in. Chandler Bray led the Gators last season, though he didn’t have a big improvement in his first year under coach Gregg Troy. He’s going to have to get to a 52 low/mid to score, and he was only 52.61 last season (only marginally better than he was in high school). Dressel is a great sprint breaststroker, but Bray is good enough to be on that leg of the medleys and Dressel doing breaststroke individually would be a pretty big surprise. Bray and Ross Palazzo were both 1:55 lows in the 200 breast at NCAAs, but it’ll probably take a 1:53 high/1:54 low again to make it back for finals this season. Florida’s really good at what, well, they’re really good at. 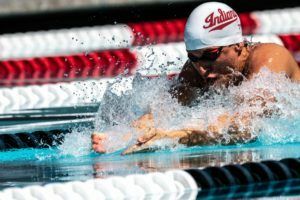 Their sprint free, fly, and IM groups are incredibly stacked, and Dressel obviously will be the swimmer to watch this year in his senior campaign. A large freshman class will be adjusting to new high-yardage training with Troy, and an extra eye should be kept on potentially high-impact additions Taylor, C. Beach, Sanders and Quinn throughout the season. 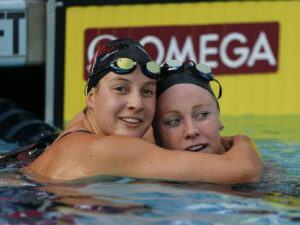 Probably will drop the 500 – next most likely event is either a tune-up 50 free or a tough 200fr/100 bk double. The schedule makes 200bk/100fr suicidal. Guys who are straight 100/200 guys who can’t swim breaststroke are really disadvantaged by the NCAA schedule. It probably makes the most sense for Florida for Rooney to swim five relays this year. He’s not fast enough to be on 5 relays. beg to differ. Florida had a 19.5 flat start on their relay last year, and graduates a guy who split 19.0. Rooney went out leading off the 400 free relay at 20.2. Seems likely he could go 19.4 or something, especially after another year of training. No mention of Andrew Brady potentially scoring in the mile? He tore it up at US Open this summer, winning the High Point award. Dressel was 18.38 in prelims of the 50 and 18.23 in the finals. Dressel is on the level of Ledecky here, making times that dominate the next fastest ever (18.47 Cielo) somehow disappointing.